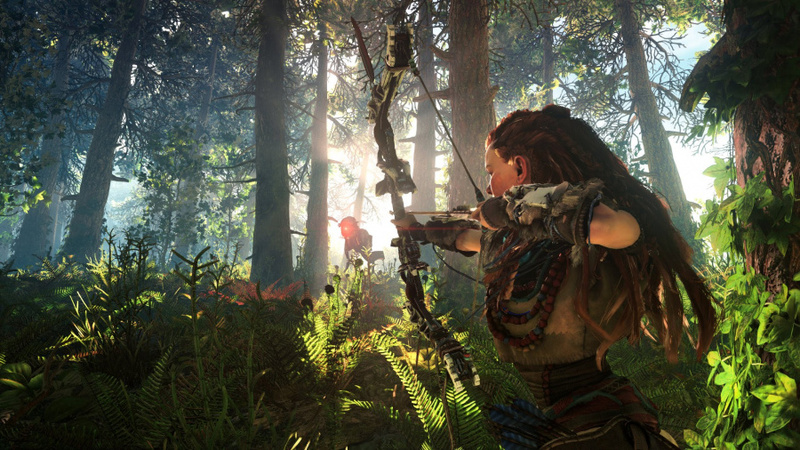 Development budgets have soared so much over the past decade or so that we're sitting here surprised at the price tag that's been placed on Horizon: Zero Dawn's head. A report in a Dutch national newspaper claims that the PlayStation 4 exclusive cost over €45 million (~$47 million) to make, and while the exact figure is being kept under wraps, it honestly isn't looking as expensive as we were expecting. Grand Theft Auto V, for comparison, cost about $265 million to make, while The Witcher 3: Wild Hunt ran CD Projekt Red around $81 million. At peak, Guerrilla Games had 250 people working on the game, and it also outsourced work to around 100 Chinese employees – presumably for art assets. The game was in development for a total of six years, but a bulk of that period was led by a small team of 20 who secretly worked on the project in pre-production while the remainder of the studio made games like Killzone: Shadow Fall. To be honest, the game looks like it's on course to be a huge success, so all of that investment will seem worthwhile in a few months' time – but it's easy to see why publishers shy away from new intellectual property when the stakes are so astronomically high. The good news for Sony is that the hard work is done now; a sequel won't take anywhere near as long to make, and with the brand already on its way to being established, the rewards will be even greater second time around. Keep in mind this doesn't include marketing which they're clearly spending an absolute fortune on. Every cent was worth it. I'm just gobsmacked playing this game. Can't wait to fire it up - will finish downloading by the time I get home from work. Even ignoring the fact that €45m seems kind of low for a game of Horizons apparent scope (not played it yet), I'm surprised that CDPR managed to make the enormous world of The Witcher 3 for just $81m. Those guys must be rolling in cash right about now. @carlos82 That's what I've been saying to people, too. There's just cash dripping out of the TV in every frame. So given the reception we've seen so far it should be able to recoup enough to get that sequel greenlit? Only played an hour so far but I am really enjoying it! 5 hours in, and loving it. First RPG I've actually got into. Does the witcher 3 $81 million includes marketing? It's cheap if it includes marketing. @wiiware Yes, and about half of that was spent on marketing. Still a little cheaper than HZD in the end. @Gamer83 Almost certainly. Sales are going to be very strong it seems. I've been 5 hours in and I still can't believe I'm finally playing. It has more than lived up the hype from picking stuff, from her weapons, graphics and most important the battles a rush of adrenaline goes thru my body which I haven't experienced this since bloodborne. This game should be in the game of the year conversation but won't beat out Zelda breath of the wild. Was tracking at No. 1 on Amazon U.S. bestsellers, so I guess that's a pretty good sign. Nioh got as high as 3 and Resident Evil 7 was at no. 3 once also (may have even reached 1) and both those topped a million shipped. I'm really liking the game so far, definitely want more. As much as I like the Killzone series, and want to see it return, it'd be a shame if the next outing from Guerrilla isn't a sequel to this. I don't know man, the Zelda games are always extremely good. Horizon is a wonderful alternative for PlayStation gamers though and a definite early Game of the Year contender. Not gonna lie, it's a good looking game. I'm playing on a 27 inch 1080p monitor about two feet away, and it is just as impressive as UC4. I'll never fail to be impressed at how much power these devs can squeeze out of these little boxes. I can read Dutch pretty well and the 45 million seems to be pulled out of their asses. I hope there's a Dutchie around to correct me if I'm wrong, but I believe it says that producing it "cost over 45 million, but Guerilla won't disclose the exact number". @get2sammyb Still remasterd maps on COD where 10m at least that ik what i read its a pity i forgot where. compared with some budgets, it's a lot less than i expected. i expected it to be at least double that to be honest. killzone 2 reportedly cost around $40m to make (though KZ3 was made for about half that). pretty good article in nrc, they gave it a very glowing review as well. interestingly, the article says "apparently Guerrilla is busy again on new projects" (Blijkbaar is Guerrilla alweer met nieuwe projecten bezig). my guess is half will work on DLC or a sequel for horizon, whilst the rest will move on to something new. So how many more years do people think it'll be before game costs cross the one billion threshold? Five years is probably low, but how about ten? Surely not more than fifteen? @playstation1995 Don't start a flame war, I'm just as pumped for Zelda and share @Gamer83 opinion. Are people not allowed to play on more than one system? Horizon is amazing, I love it. I'm just way more hyped for Zelda, personally. 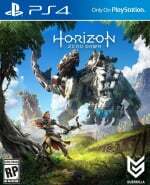 I'm still gutted why HZD couldn't have launched one week earlier.. I'm sure it's a great game and can't wait to play it but this will have to wait until I finish the Zelda game. @Gamer83 I was so hyped for the new Zelda.. two years ago when it was supposed to come out. Now two years later my hype has been dumbed down so much which is why I'm going for Horizon this week (also because I'm not gonna get the Switch at launch). A new IP that I don't know much about sounds more enticing to me than a game from a franchise of which I've played dozens of games of. Will probably get Zelda and Switch later on in the year, though. It will have the charm but I fancy something fresh, unoriginality notwithstanding. I was more hyped for Horizon for the same reason. Breath of the Wild still looks like it will be an amazing game, though, and I'll be sure to pick it up later in the year when I get a Switch with Super Mario Odyssey. @playstation1995 I'm not switching to Nintendo I'm just been a fan Zelda since the Nintendo days and it has a huge fan base. I still haven't played Zelda I'm just going by what I've seen and it also looks great. Horizon hands down made me a fan of the franshise so let see what happens with the sequel goes. Doesn't include marketing, well, I suppose not so cheap then.I'd love to know how much they ploughed into marketing. Looking forward to playing on PS4 Pro when I pick one up, just happy that hopefully Killzone is dead. It isnt too surprising. They kept the Decima engine which KojiPro helped work on. Other than the great graphics and a couple of unique weapons, the rest are staples found in other games. My only (small) gripes are the contextual jumps like in Uncharted and the camera could feel like a clunky TPS at times. @Bad-MuthaAdebisi according to a dutch tabloid (http://www.parool.nl/amsterdam/amsterdams-gamebedrijf-guerrilla-sluit-britse-tak~a4448149/), guerrilla is working on a new killzone, though it provides no factual basis for the claim and appears to have pulled it out of thin air as a casual by the way. the quote is "Het werkt nu onder meer aan een nieuwe Killzone en de laatste hand gelegd aan het veelbelovende Horizon: Zero Dawn." (ie: it is working now amongst other things on a new Killzone and laying down the final touches on the promising horizon: zero dawn). i believe we'll see another killzone at some point (though i'd be surprised if something HZD related isn't next), and there is a potential for a really great killzone game - it'll have to be radically different (and much better) from shadowfall though. KZ2 and KZ3 both had fantastic multiplayer, i would really like the franchise to recapture that. multiplayers on PS4 in general have been rather disappointing compared with PS3. Seems really cheap tbh, considering Deadpool cost nearly 100 million to make and advertise. @Gamer83 Colin and Greg on Kinda Funny are adamant that a sequel was greenlit ages ago. And to be fair Sony have shown such confidence in the game since it was announced that it's probably likely. @playstation1995 I have yet to play horizon (though with everyone going nuts over it I can hardly contain my excitement), but Zelda is not entirely comparable. For me, no game makes puzzles quite as satisfying or worlds quite as engrossing as Zelda, if only because it's a world that's been with us since we were children. @Totaldude911 I think that's something people miss. Despite both games having post-apocalyptic, open-world settings and launching close to one-another, their priorities seem quite different. Horizon seems more like a proper open-world RPG with extensive side-quests and a focus on narrative, whereas BotW is a bit more like a Souls game in that its focus is on exploration and challenging, nuanced gameplay.